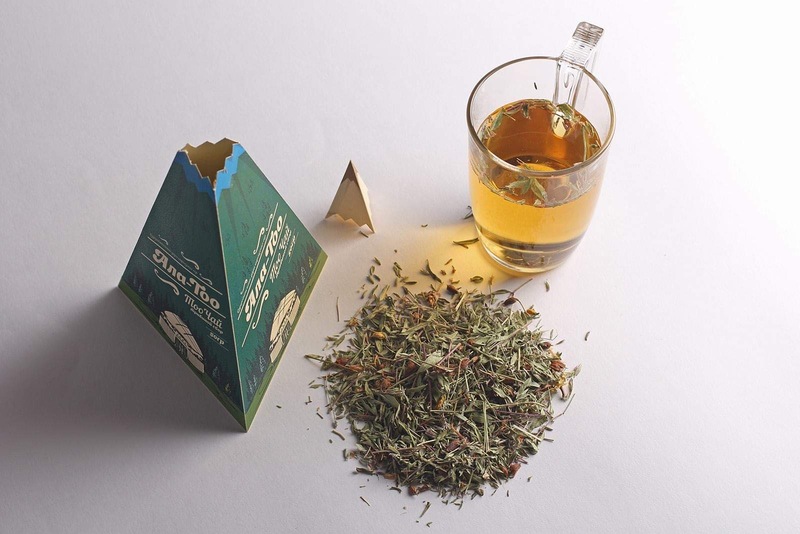 Thus, when you taste “Too Chai” herbal tea, you try the “taste” of the area or mountain slope where it was collected. 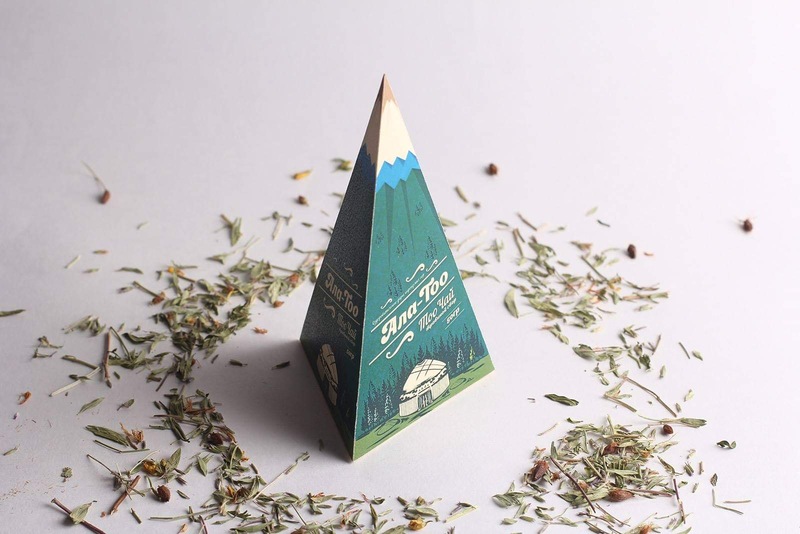 Graphic personality emphasizes the product as natural and useful, combining the color palettes of green, blue, brown and white, as a symbol of the main elements of nature. 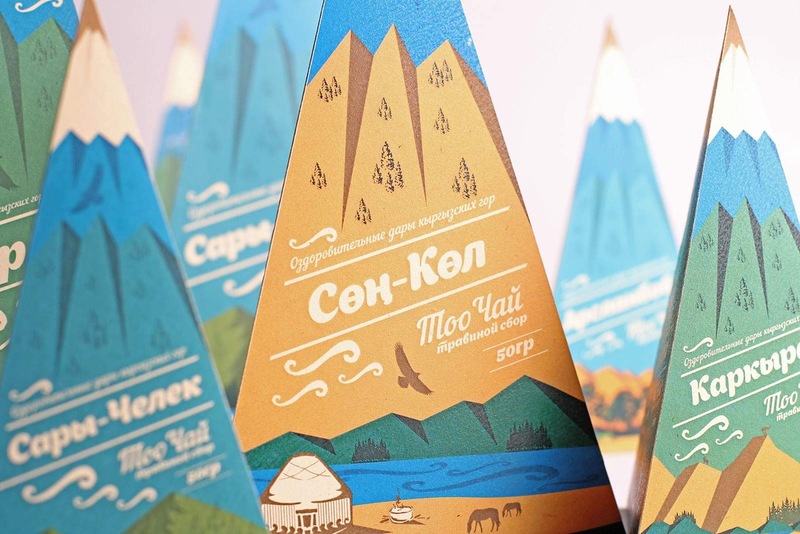 After collecting the whole series of packages, you can build a beautiful landscpe, which will certainly please the eye and remind you of the wonderful trips to the mountain valleys and gorges of Kyrgyzstan. 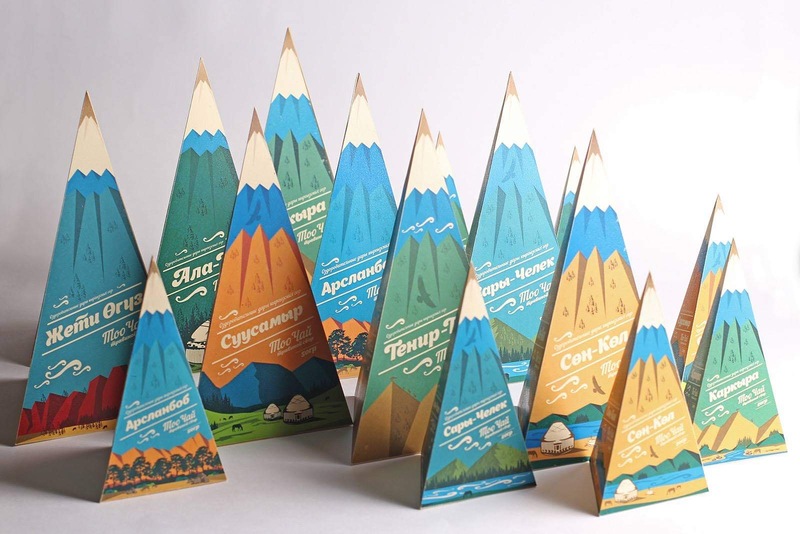 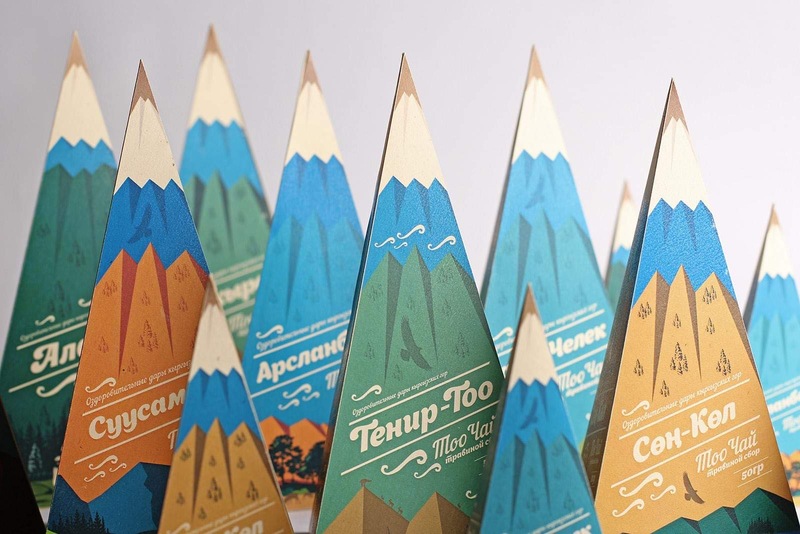 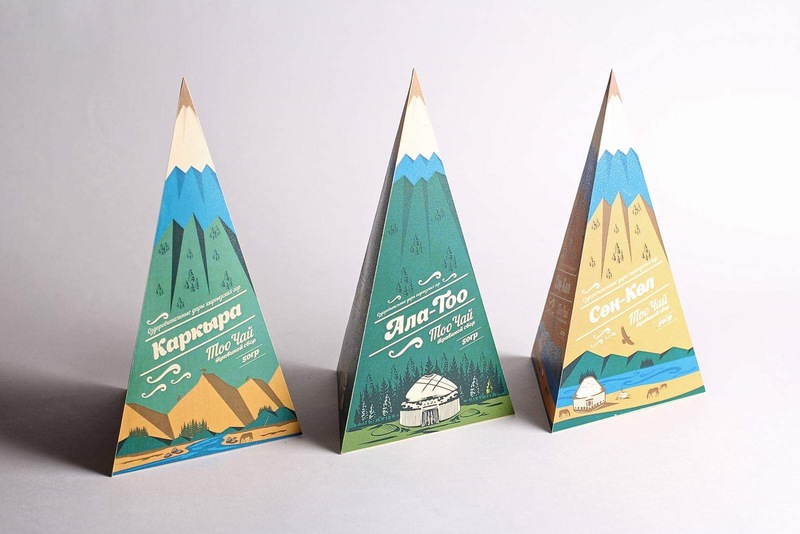 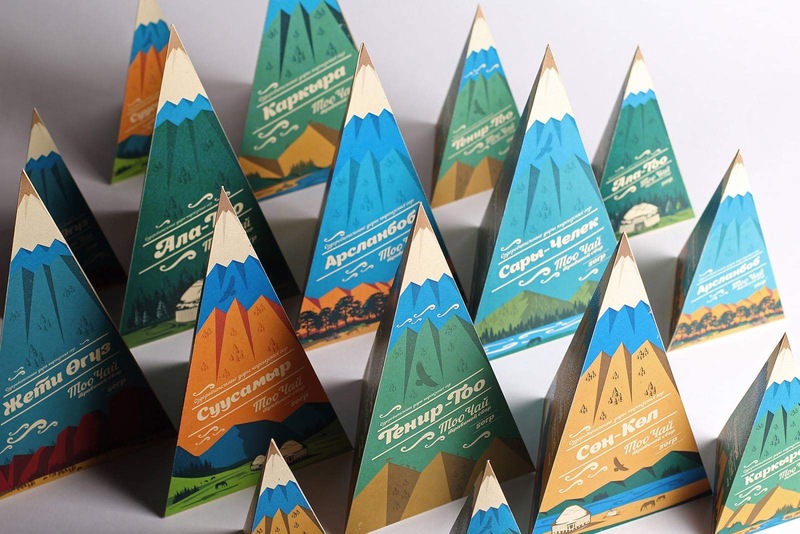 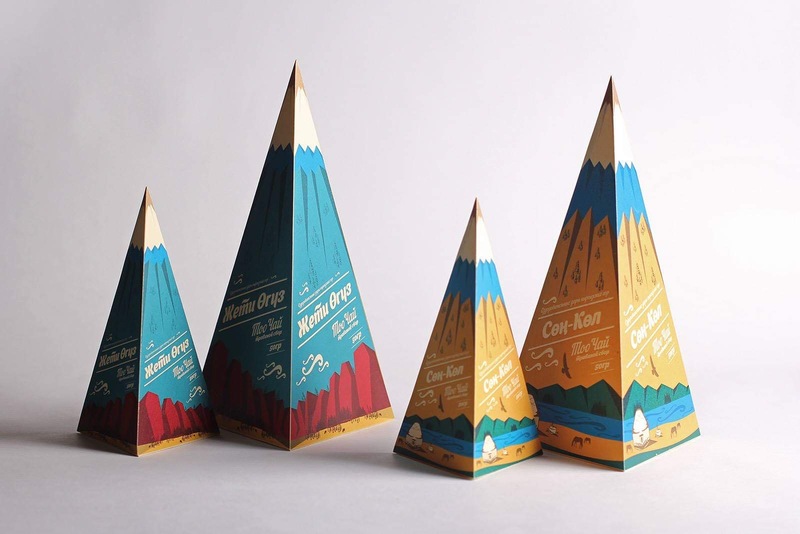 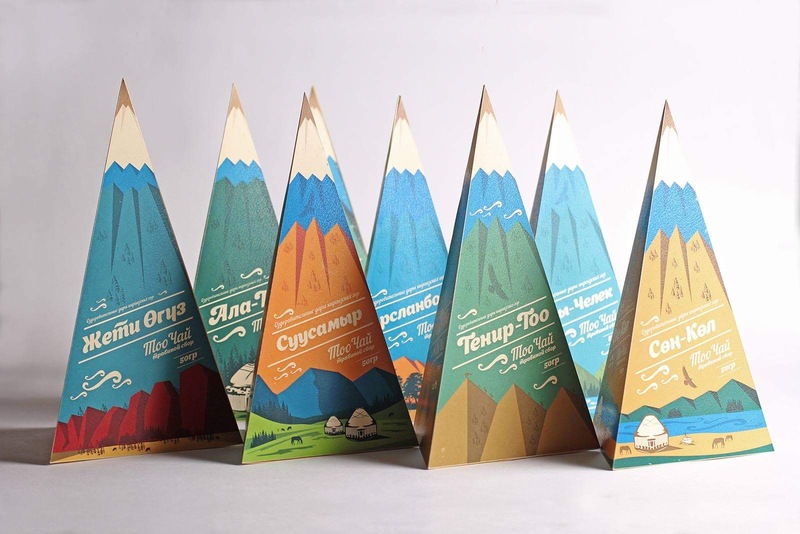 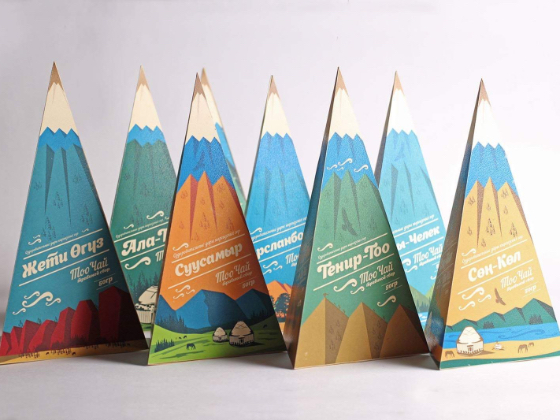 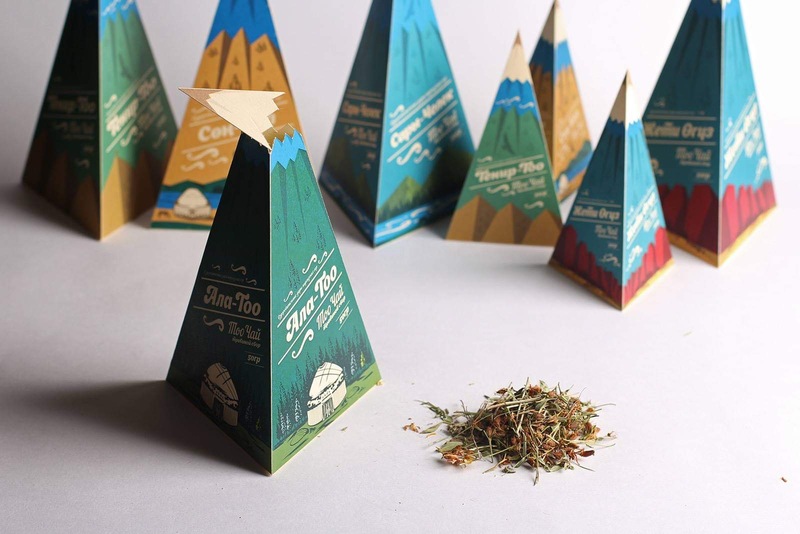 The pyramidal shape of the package, which is a snowy top of the mountain is functional and convenient to use. 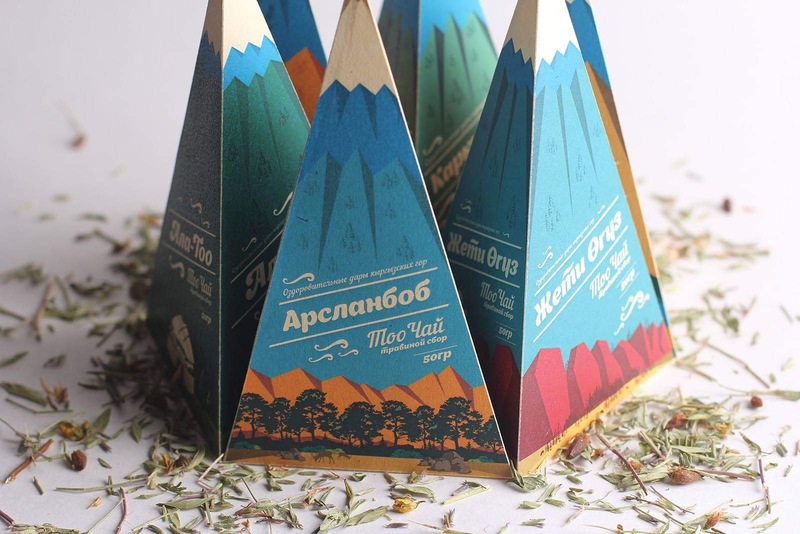 For example, during transportation, you can fold the packaging in a“jagged” way. The capacity of the pyramids in the space is larger. 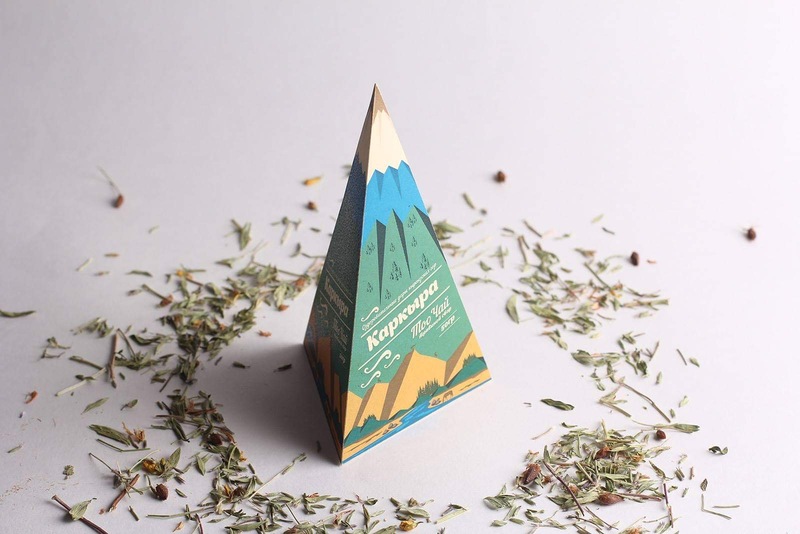 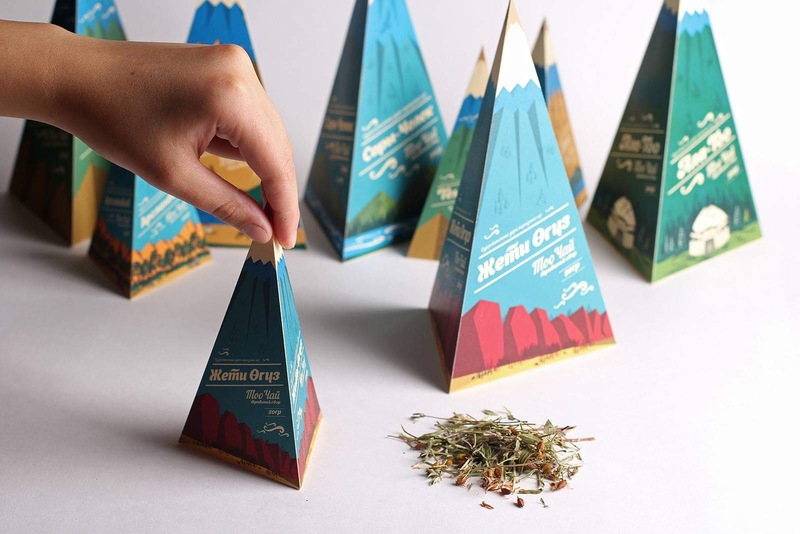 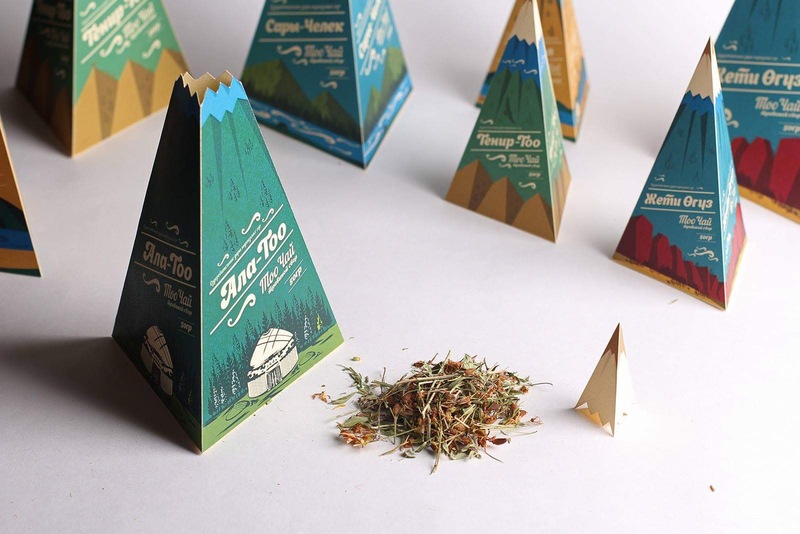 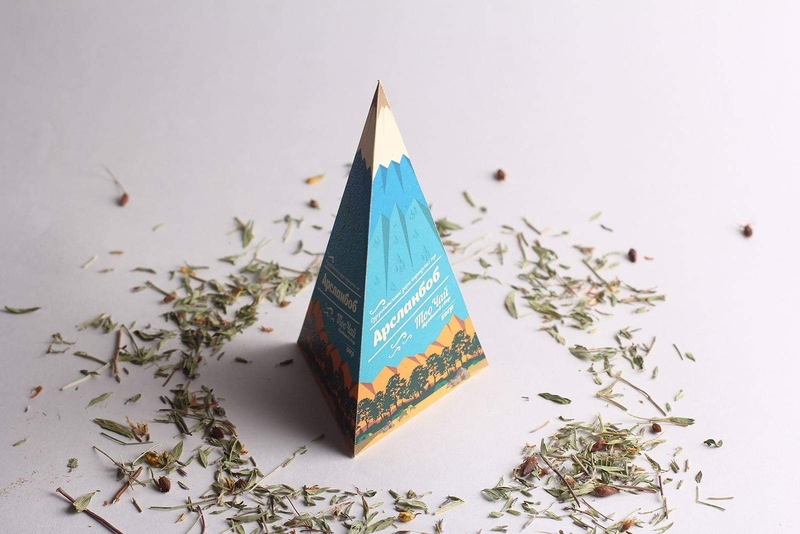 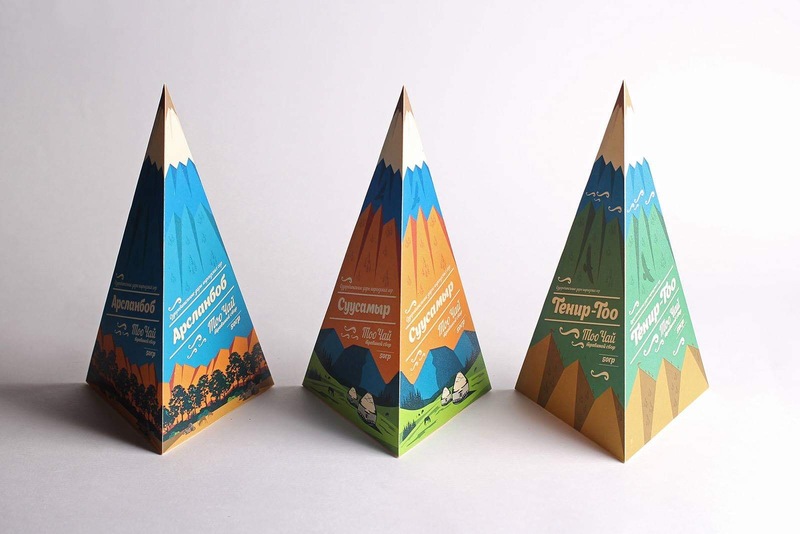 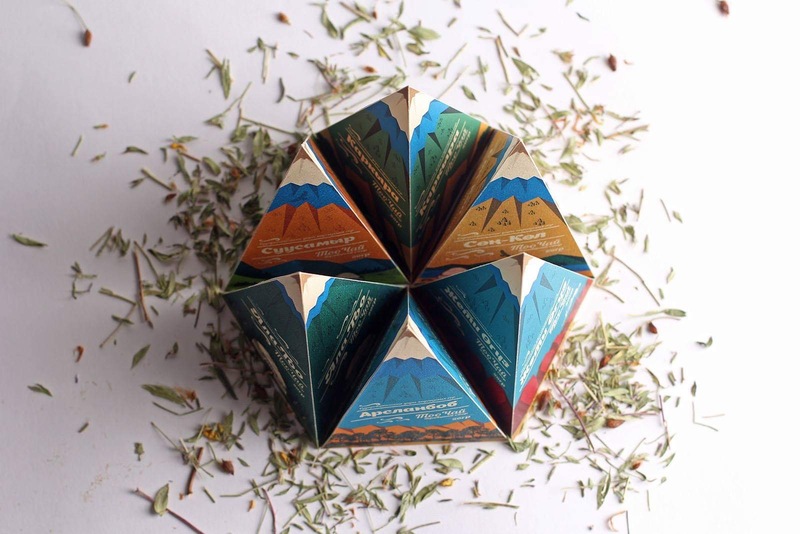 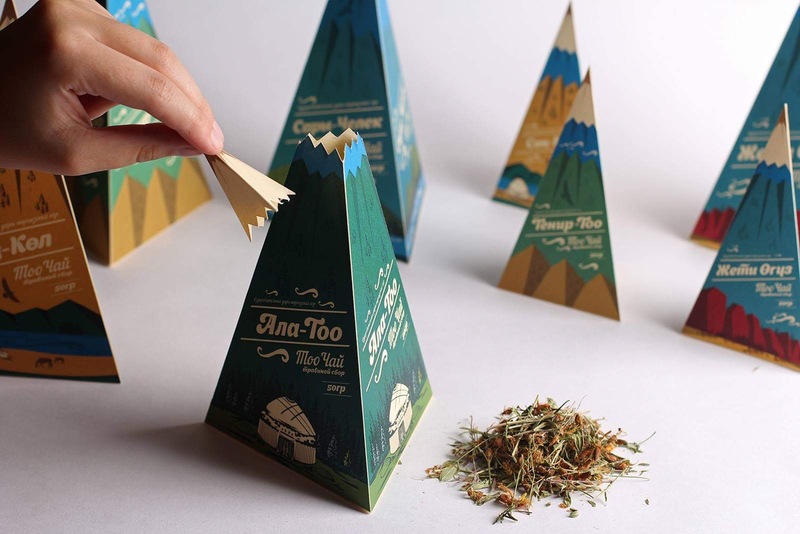 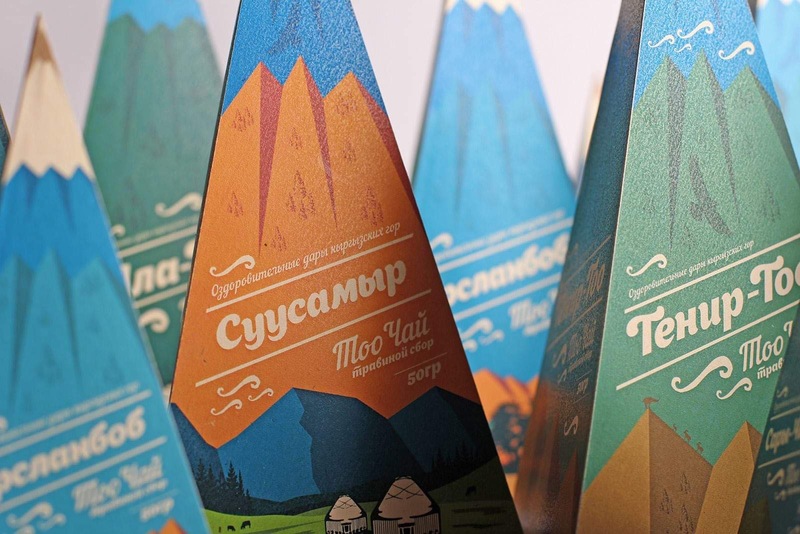 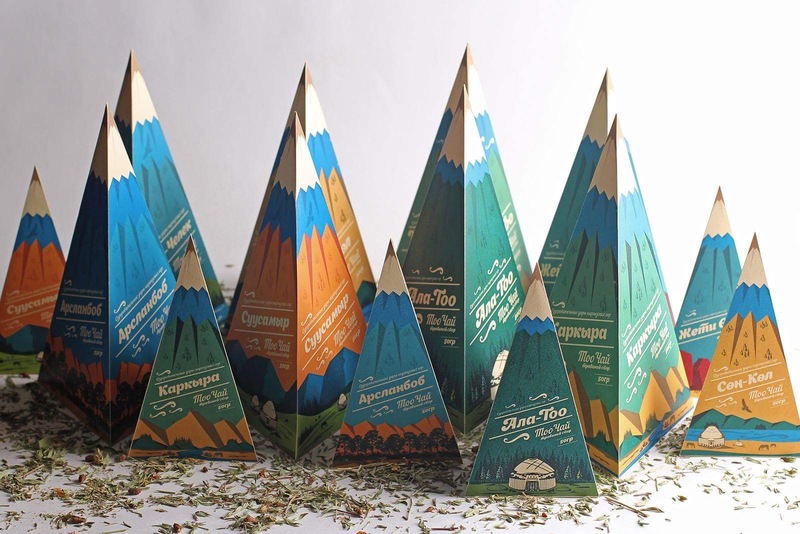 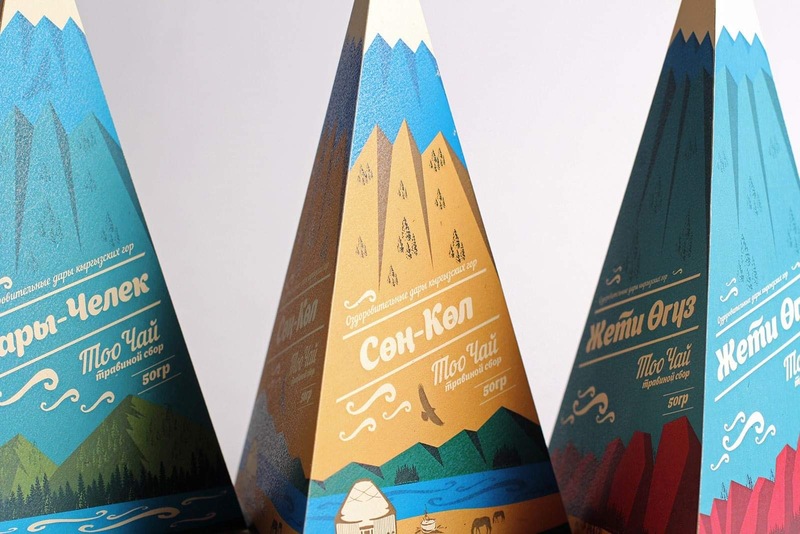 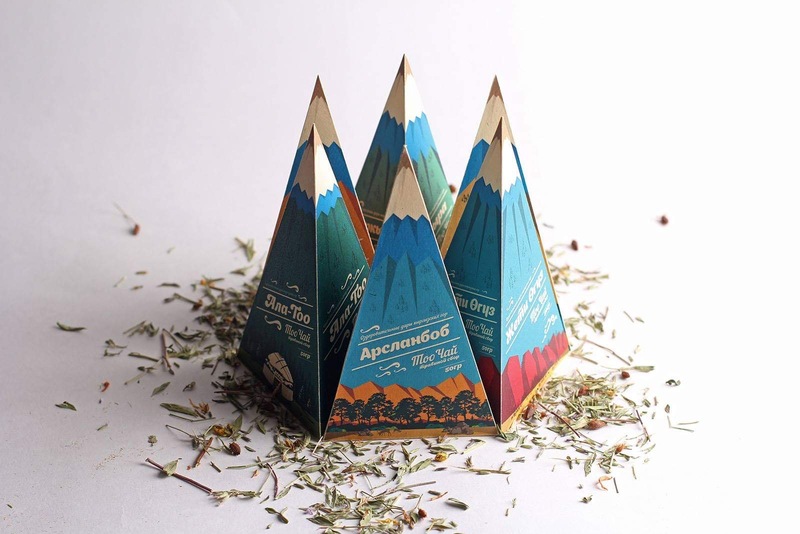 It is convenient to use a pyramid package when pouring tea into a vessel: the contents are dosed and easily self-extracted from the package. 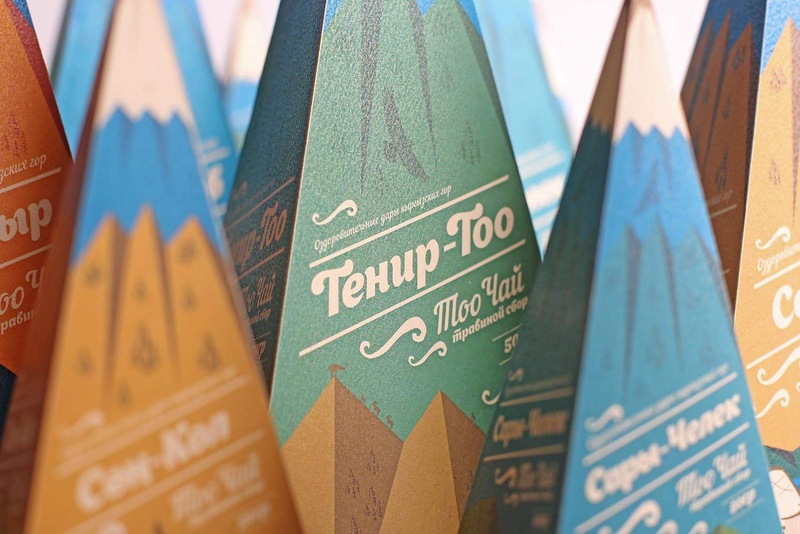 The package opens from the “glacial” tip, which is pre-perforated along the tearing line. 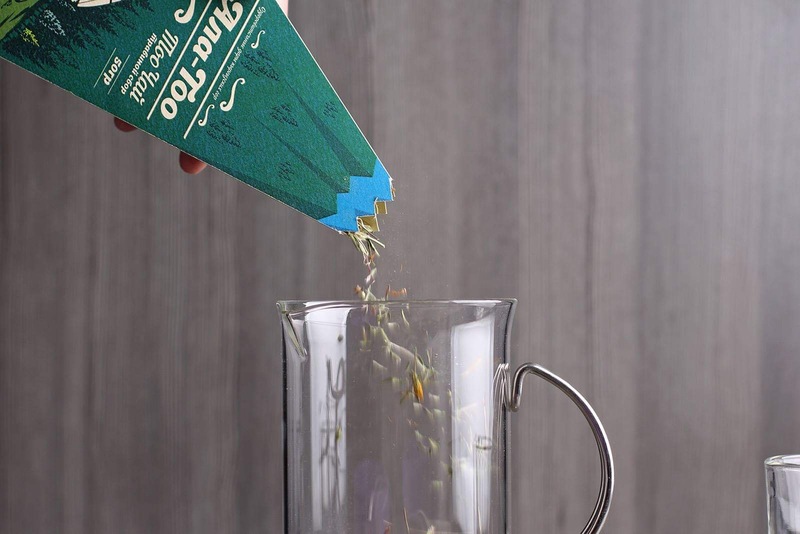 You can leave one of the three sides without tearing off, so that the tip won't get lost, or you can completely tear it off - in any case, the tip-cap closes again.